I’m going to preface this review by saying that I am not exactly the type of vaper that will get the most out of a 50 watt APV. Don’t get me wrong, I like plenty of power, but in my case about 13 watts is plenty. If you’re into higher power and lower resistance, the IPV V2 is definitely worth considering. The pleasant surprise is that even at 10 watts I’m finding myself liking this device quite a bit. 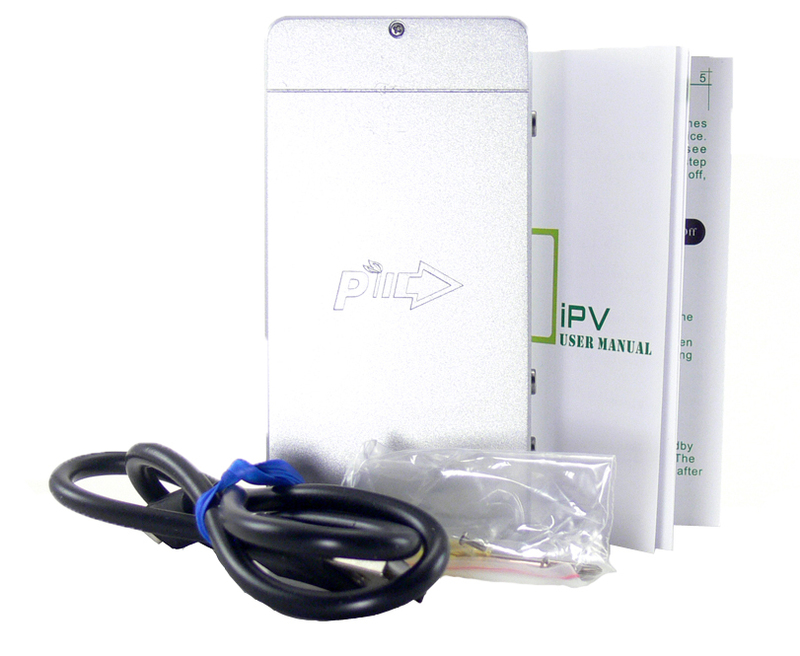 The design of the IPV V2 is simple and functional. 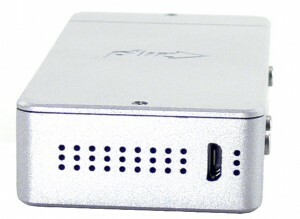 It’s a rectangular aluminum box with a 510 fitting and touch sensor at one end and USB charging port and vents at the other. While the 510 connector has no provision for eGo style toppers, it does have a center pin that can be adjusted with a philips head screw driver. 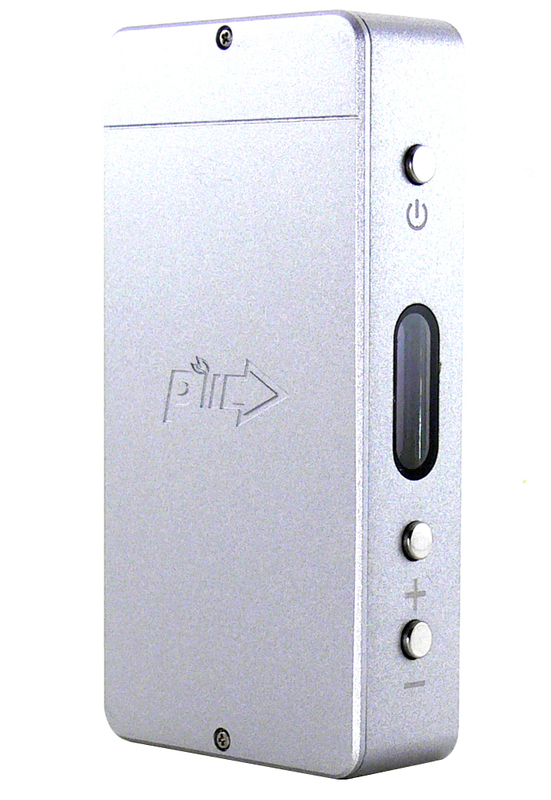 Three buttons and a display are found on one side while the other has a plastic insert with the “Pioneer4You” logo on it. The back cover is held on by two tiny screws. Taking that cover off allows access to a replaceable 18650 battery, which is surrounded by a nicely fitted plastic shell that hides the other components, including the well regarded YiHi SX330 v2, which is also firmware upgradeable. A screwdriver and replacement screws are included with the unit. 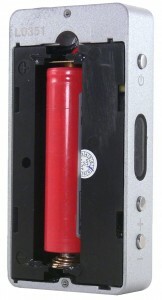 It is not necessary to remove the battery during normal use, however. A micro USB port on the bottom of the device makes charging simple. When plugged in and charging, a bright red LED illuminates next to the port and goes out when charging is complete. The battery indicator on the display also increases when charging, but it is a little hard to judge given its size. At 5.5oz including the installed 18650 battery, the IPV is lighter than it looks. For comparison, an 18650 Sigelei ZMAX weighs in at 6.25oz. The IPV V2 measures 99mm x 49mm x 20mm, so it is a little on the bulky side when pocketed, but no offensively so. The display is well integrated into the side panel and although a little small, shows a nice balance of information. Wattage, voltage output, atomizer resistance and battery life are displayed whenever the device is on. The display dims a few seconds after use and then goes off completely after about a minute. Even though the power of the device is set by adjusting the wattage, the display still shows the output voltage, which I like. Battery life is displayed as a small picture of a battery, however, and I would much rather have a numerical representation. The touch sensor is probably the most unique thing about the exterior of the IPV V2. 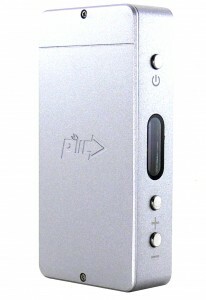 Placed on the top of the device, it serves as a second firing button and requires no pressure to activate, just touch. It can be turned off completely by holding the “-” and power buttons. “+” and power turn it back on again. 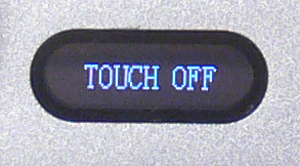 The display lets you know whats happening with “touch off” and “touch on” notifications. The touch sensor also shuts off when the device goes into standby, which is after one minute. A single press of any of the buttons turns it back on again. I like the touch capability, but I think I am actually more enthused about having two buttons. 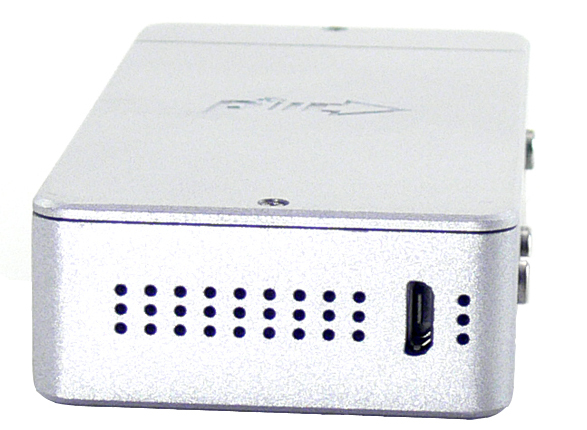 Box style APVs are often a little awkward to hold and use, and two buttons provide more options for a comfortable grip. Although I have not tapped the 50 watts that this device is capable of delivering, I am impressed by its performance. It is quite happy to fire up whatever I put on it at a consistent wattage. From sub-ohm builds to standard 3 ohm clearos, it has performed flawlessly. I haven’t scratched the surface of true potential, though. This device is capable of handling builds as low as .2 ohms and providing up to 8.5 volts. For a device with a relatively short list of “features,” I am quite impressed with the features the IPV V2 has. I know that sounds like a contradictory statement, but sometimes less is more. This device provides plenty of power reliably and effortlessly, is simple to adjust and easy to turn off and on. That’s really all I need in an electronic cigarette and it’s all here. Battery life from the 18650 is quite good. I picked this one up from Madvapes on a deal which included a 35amp LG battery and a battery capable of providing over 20amps is recommended. I’ve been getting an easy day’s worth of use out of it between charges. Charging via USB makes time between charges a lot less important, though. I have micro USB cables everywhere for phone charging and they work perfectly for the IPV as well. If you’re into very low resistance vaping and looking for lots of power, this mod is a very good choice. Solid build quality with a well regarded chipset help to ensure long lasting troublefree use. The replaceable battery also means that it won’t be junk when that wears out. As a daily use ecig for the typical vaper, the IPV V2 still makes some sense, though. The ease of use and 5-click on/off make it a convenient device to carry around and very pocketable. At $110, however, there are a number of good box mod options on the market that are not nearly as powerful, but still satisfactory. The iTaste MVP is the most popular device in this category at the moment and can be found for around half the price. Personally I like the feel, function and particularly the button placement of the IPV much better than other box mods I’ve tried, including the MVP. I’d be hard pressed to justify the extra money for just those features, though. Using the extra power that this unit can provide is the key to making it a good value. The unit reviewed above was purchased from Madvapes for the purposes of this review.